Ehren M. Ehly (March 16,1929 – December 26, 2012) was the pseudonym of Egyptian-American author Moreen Le Fleming Ehly. Her first novel, Obelisk, was published by Leisure Books in 1988, followed shortly by Totem. Both novels feature what I believe to be the best cover art Leisure ever published, with two die-cut covers and stepback art leafs by the artist B. Perini, shown in the scans below. Among her primary influences was H. Rider Haggard; she was impressed by Haggard’s novel She at an early age. She picked up the pen to write her own fiction in the mid-1980s. Ehly used her vast knowledge of Egypt and ancient pharaohs to inform her work on Obelisk, and leaned on her first-hand knowledge of Middle Eastern culture for much of her work. I personally discovered Ehly’s work as a teenager in high school, when my girlfriend at the time gave me a copy of Ehly’s novel Evil Eye for Christmas in 1989. Ehly’s fiction falls in the category of 1980s pulp horror; it is entertaining and well informed by her life experiences. Her last novel, Star Prey, was published by Zebra Books in 1992. Ehly was born in Egypt, spent much of her youth in London, but then moved back to Egypt and spent many years in Cairo and Heliopolis, the city of her birth. She graduated from St. Claire’s College in Egypt, taught kindergarten classes for children of royalty, diplomats, and politicians, and worked for the British Middle East Office in Cairo. 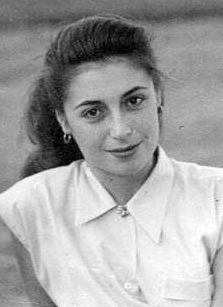 An athletic woman in her teens and “a noted beauty” according to her obituary, she won the Miss Egypt title in 1949 in the presence of King Farouk at the Auberge des Pyramides. She met her future husband Robert, a United States Marine, at a sporting club in Cairo, however, they were soon separated when Ehly and her mother fled Cairo during the Black Saturday riots in 1952. They were later reunited while he took leave in London. The story of how they ended up married includes some apparent trouble getting Ehly into the United States, so some of Robert’s friends in the service arranged for him to appear on the television show Truth or Consequences, judging a beauty contest, in which Ehly was a surprise contestant. Her obituary reports that, “On stage, models and starlets were to pop out of oversized advertisement product containers. Moreen popped out of a huge Pet Milk can, much to Robert’s surprise and joy.” The show’s host, Ralph Edwards, reportedly helped navigate the bureaucracy of paperwork and legalities so the couple could be together. After the two were married, they settled in the U.S. and lived for a brief time in Louisiana before settling in California. She worked for many years at Sears & Roebuck, had three children and seven grandchildren, one of whom was named Ehren, who became a U.S. Marine. I really encourage readers to click through and read Moreen Ehly’s personal story as related in her obituary on the O’Connor Mortuary web site. She had a truly interesting life that transcended her work as an author. Many thanks to her daughter, Juliet Vanderlinden, who referred me to the site. All of Ehly’s work is currently out of print. To view a list of her books available second-hand, please click here.